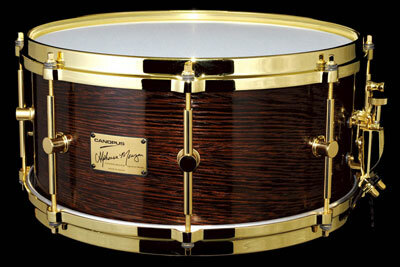 Brand new signature Snare Drum from the legenary fusion drum master Alphonse Mouzon - who influenced Led Zeppelin’s drummer John Bonham and countless rock, jazz and funk drummers all over the world. Alphonse Mouzon is one of the inventors of Fusion Drumming. His Signature Power Snare Drum Series Has a fat, deep and crisp sound that is suitable for all styles of Rock, Jazz, Funk, and Fusion!! Please note that the delivery time will vary. Please contact us for the delivery date.